An acclaimed bestseller and international sensation, Patrick Suskind's classic novel provokes a terrifying examination of what happens when one man's indulgence in his greatest passion — his sense of smell — leads to murder.In the slums of eighteenth-century France, the infant Jean-Baptiste Grenouille is born with one sublime gift — an absolute sense of smell. As a boy, he lives to decipher the odors of Paris, and apprentices himself to a prominent perfumer who teaches him the ancient art of mixing precious oils and herbs. But Grenouille's genius is such that he is not satisfied to stop there, and he becomes obsessed with capturing the smells of objects such as brass doorknobs and fresh-cut wood. Then one day he catches a hint of a scent that will drive him on an ever-more-terrifying quest to create the "ultimate perfume" — the scent of a beautiful young virgin. Told with dazzling narrative brillance, Perfume is a hauntingly powerful tale of murder and sensual depravity. 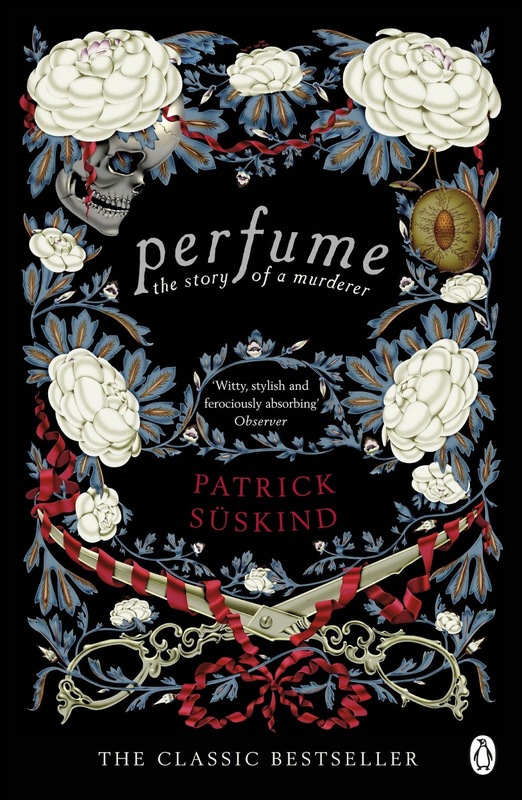 Originally titled Das Parfum: Die Geschichte eines Mörders, the novel is set in the XVIII century, in France. It is about a man called Jean-Baptiste Grenouille, who was born in between dead fishes and guts in a Paris market and is left to die by his mother. But this doesn’t happen, as little Grenouille screamed loud and was rescued, while his mother was sentenced with the death penalty. Grenouille was born without an odor, but he was unaware of this. What he was aware of was that he had a really good sense of smell: he could identify +10000 different odors, and he had them all imprinted in his memories. After being an apprentice of Baldini, a Parisian perfumer, Grenouille decides to travel to the city of Grasse to learn how to obtain the essences (in terms of smells) of everything he had ever smelled. But he opted for living in a cave for 7 years until he became aware of his own lack of smell, and began his trip to Grasse again. … And that’s all I’ll write here, I don’t want to write any more spoilers (Sorry!). The final pages of the novel had very weird scenes, but they fitted perfectly with the whole story. This novel is beautifully written and Süskind manages to perfectly evoke the odors Grenouille smells and how they affect him, to the point where you can almost smell them yourself. Süskind does such a great job in describing Grenouille’s obsession that you can’t just stop turning the pages. The first part involved Grenouille’s birth, his arrival and stay at Madame Gaillard’s orphanage, until the time he leaves Baldini’s house. The second part includes his journey to Grasse, his seven-year stay in a cave, his stop in Montpellier and his fabricated story about being kidnapped, until when he escaped from the hands of the Marquis de La Taillade-Espinasse, who was using him as part of an experiment. The third part begins with Grenouille finally arriving to Grasse, how he learned to capture scents in new ways, the killings, and Grenouille’s return to Paris to face a tragic, but planned, end. I really liked this book, and I’m glad I was sent to read this for college, otherwise I probably wouldn’t have heard about it. If you’re a fan of classics, fiction, and horror, then you should really get your hands on this book!